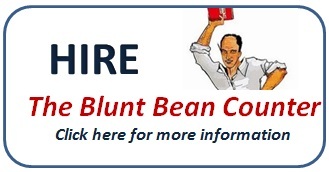 The Blunt Bean Counter: Your Investment Return - What Is It Telling You? Your Investment Return - What Is It Telling You? I find it shocking, how many people have no clue what their investment returns are for any given year let alone their historical returns. Some investment firms have been purposely opaque in respect of reporting investment returns for their clients. It is hoped that with the introduction of CRM2 (see this article) there will be far greater transparency in respect of the returns generated on your investments and the fees you pay your investment firm. As of December 31, 2016, your investment statement should start reporting a personal rate of return. 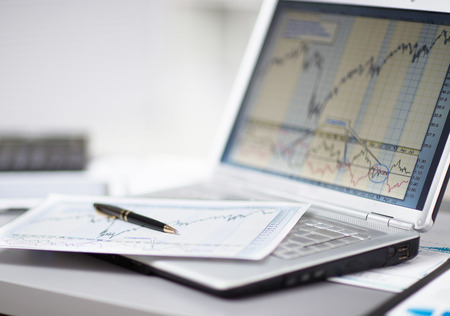 From what I understand, the reporting of your returns will only be mandated for 2016 and prior year investment returns do not have to be reported (some investment advisors/managers are very lucky; as 2016, the first year of reporting was a strong market year and this may allow them to hide poor past performance - thus, I would also request personal return information for the last three years, the last five years and since inception in addition to the 2016 return information). While your statements will not necessarily provide index benchmarks for you to compare your return against, at least you will have a return number! If you have an investment advisor or investment manager and they have not reviewed your returns and strategy on a yearly basis before this required reporting, I would put them on notice you are disappointed and expect far more going forward. In addition, you should also review the investment fees you paid in 2016, which should also be provided on your statement. If you manage your own investments, you should be reviewing your performance on a yearly basis, or you are doing yourself a disservice. Okay, enough with my rant. Today I actually intend to talk about what your investment returns are actually telling you about your investment strategy and investment policy and whether you are adhering to your strategy or chasing returns. (As an aside, if you are a good writer, you always tell your audience what your intended topic is within the first couple lines, you do not wait until the fourth paragraph. So do as I say, not as I do :). 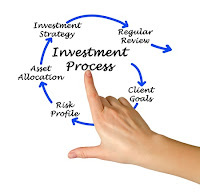 When you engage an investment advisor or investment manager etc. the first thing that should be done is to create an investment policy statement and strategy based on your needs and risk. This will include a target allocation between fixed income and equities and target allocations between different asset classes and global diversification among other considerations. You should also be provided benchmark indices to compare your fixed income, Canadian, U.S. and World allocations against; unfortunately, this is often not provided. For this post, let’s assume for simplicity sake that you want an asset mix of 30% fixed income and 70% equity which is allocated 30% Canadian, 30% World and 40% United States. What Are Your Returns Telling You? For purposes of illustration, I am going to use 2015 stock market returns since there were some of the larger variances within portfolios I have seen in years (I personally observed returns ranging from up 12% to down 17%). I will only briefly comment on 2016, since most statements are just being mailed. So why the wide variance in returns in 2015? The reason was simple. The Canadian markets and resource stocks in particular were weak and preferred shares, especially rate reset preferred shares (due to low interest rates that were not contemplated when the shares were issued) were hammered. The TSX ended 2015 down around 11%. The U.S. market was down around 3% or so (but there was a huge foreign exchange gain where you held U.S. stocks because of the increase in the U.S. dollar relative to the Cdn dollar). World markets were also fairly weak. So I ask you. If you had a 3-5% return in 2015, was that good or bad? This is a loaded question. If your allocation was the 30/70 mix I note above, that was probably somewhat expected and almost all due to the 30% or so increase in the U.S. dollar. Is that good investing or proper fund allocation? I would say a bit of both. I noted that I saw people with losses as high as 17%. Was this bad? The answer surprisingly could be yes or no. If you had a large Canadian equity allocation with a resource bent (some people believe in investing most of their funds in the country they will live and retire in) then, the 17% loss may not have been as bad as your initial reaction and somewhat expected. That same portfolio will have exploded to the upside this year. Personally such a portfolio has too much volatility for me, but it may have been in adherence to that person’s investment strategy. Where you had a 17% loss because of rate reset preferred shares the investment industry sold and pushed (especially to seniors), but did not understand, that is another story. For those people who had a 12% return in 2015, these returns were solely because they were over-exposed to U.S. stocks. I would say those returns, while excellent, were gained at the expense of risk (too much U.S. stock allocation) and you would have to understand the downside risk on a reversal in the dollar. 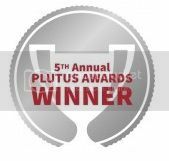 Some people told me their advisors did a great job over-allocating to the U.S. in 2015 and they were scaling back in 2016 (these conversations were in early 2016) to protect against a F/X reversal. When I hear comments such as the above, I cringe, since this says to me that their advisor has not created a disciplined strategy, but is stock picking, which more often than not, ends up badly. This year both the Canadian and U.S. markets have done very well. So if we look at the sample portfolio, one would expect a return somewhere between 8-11%. If you are this person and your returns are 18% I would want to understand why I outperformed far greater than my expected asset allocation. A better than expected return may indicate something amiss with your investment mandate. The same goes if your return was 6%, why were you below your expected return? 1. Ensure your investment advisor/manager provides you with current and historical returns don’t just accept the 2016 returns that will be on your December, 2016 statement. Meet with them to discuss your returns and compare them to your intended strategy and investment policy and compare your returns to benchmark indices you agree upon. Ensure the returns you are provided with are net of management and investment fees and that the returns are not varying significantly from your expected returns. Variations both up and down may be cause for concern. [BTW: If you are unhappy with your advisor and looking for a change, let me know. Depending upon your asset base, I or a colleague, may be able to assist you with financial planning and investment oversight and provide you access to several investment managers I work with directly (as an accountant I cannot provide specific investment advice, so I must work with an investment manager)]. 2. If you manage your own investments, ensure you have created an investment strategy that it is written down and then compare your returns to what you expected and ensure you kept a disciplined approach in line with your strategy.